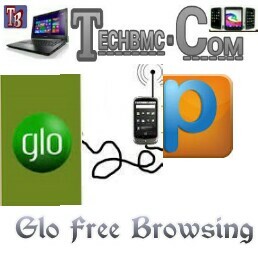 Hello Techbmc fans, here comes a new and working unlimited free browsing on your glo network using psiphon browser via your Android smart device. The free browsing requires nothing much from you, as you can browse using psiphon without airtime on your glo sim card. The Psiphon browser which is the backbone of this free browsing, when connected can be used to stream videos online, download games, songs, apps, pdfs, themes, pictures etc for free of charge . You can get yours to start working by just using the below simplified configurations/settings on your psiphon browser app. First, Download the latest Psiphon browser Here. Ensure you tick where you see ☑ Removed port. For proxy type: Select Real Host or Dual Real Host. Real Proxy Port: 80 or 8080. Next, click on OK button to save all the set ups. Once your settings has been saved, a Pop-Up will display Saying Tunnel Whole Device? When you see that, Just Use Psiphon Browser Only and select United State as your Region. Now wait for few seconds just for the psiphon to connect, once it is connected, open the psihon browser and start surfing the net for free. As said earlier on, you can use this unlimited free browsing to download all the downloadables. Catch fun online, watch live matches, play online games, and share free WiFi to friends while connected. Stay tuned for latest unlimited free browsing coming on all networks in Nigeria, MTN, Airtel and Etisalat etc. Got any contribution or question regarding to this post? kindly use the comment box. Don't forget to share to friends.